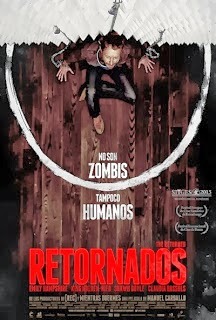 Reparto: Emily Hampshire, Shawn Doyle, Claudia Bassols, Timothy Gibbs, Melina Matthews, Kris Holden-Ried, Paul Anthony, Barry Flatman, Paulino Nunes, Stephen Chambers, Brian Mifsud, Romy Weltman, Jamie Lyle, Joseph Wynne, Josh Pattynama. Producción: George Ayoub, Julio Fernández, Gary Howsam y Bill Marks. Productoras: Ramaco Media I y Castelao Pictures.